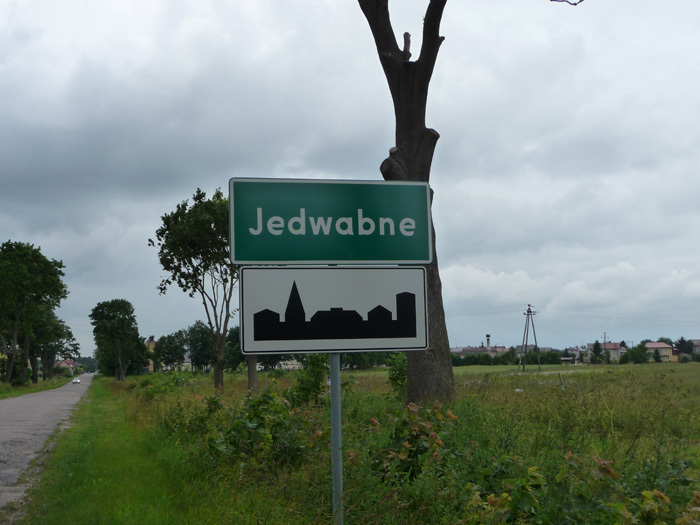 I had no ancestors in Jedwabne, but I believe there were some cousins. 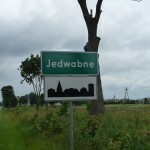 Few records, or perhaps only one, indicate my family was in Jedwabne. Kurlender has appeared on surname lists. 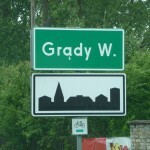 This town is a sad tale in Poland’s history. 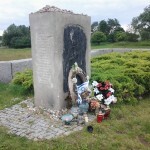 Most of the atrocities brought against the Jews were committed by the Nazis, but there were some Poles who took it upon themselves to also contribute. 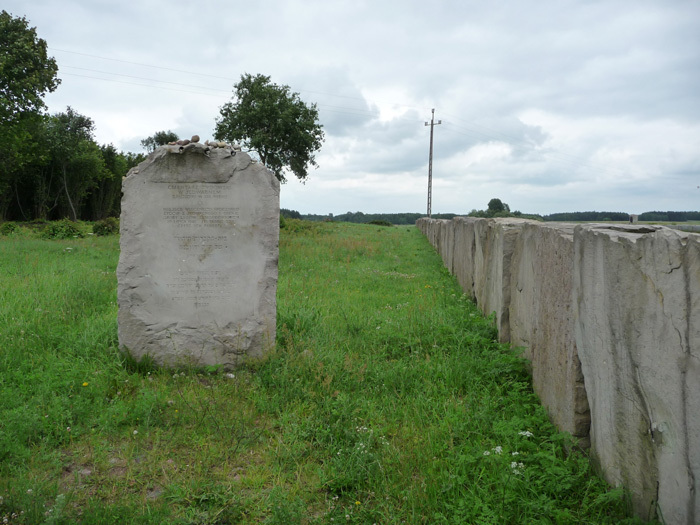 In this village, already under some German influence, they rounded up the Jews into a barn by the Jewish cemetery and burned it down. 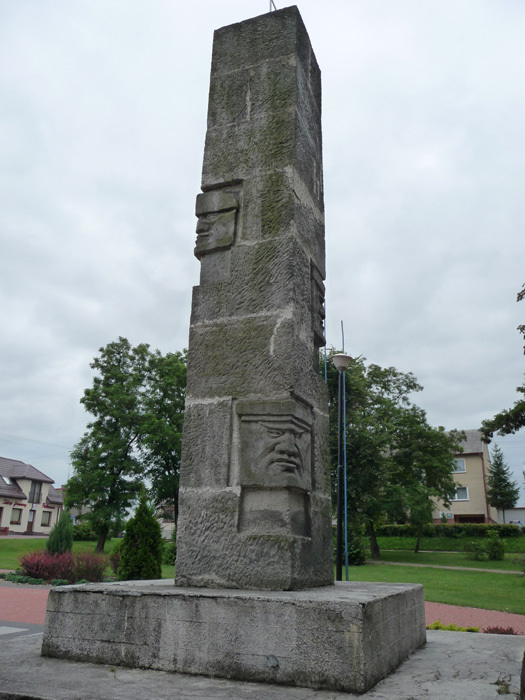 I saw three stories about the fate of the Jews in Rutki. 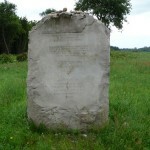 In one, they were sent to Łomza. In a second, they were marched out to the forest and killed. 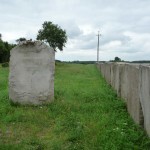 (It was along the way to Łomza, so maybe both of those stories are the same.) 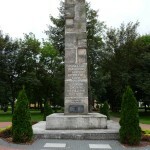 In a third, they were sent to Jedwabne. I knew where the synagogue used to be in town, but I just drove by the spot quickly. 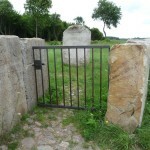 I went out to the memorial and the Jewish cemetery. 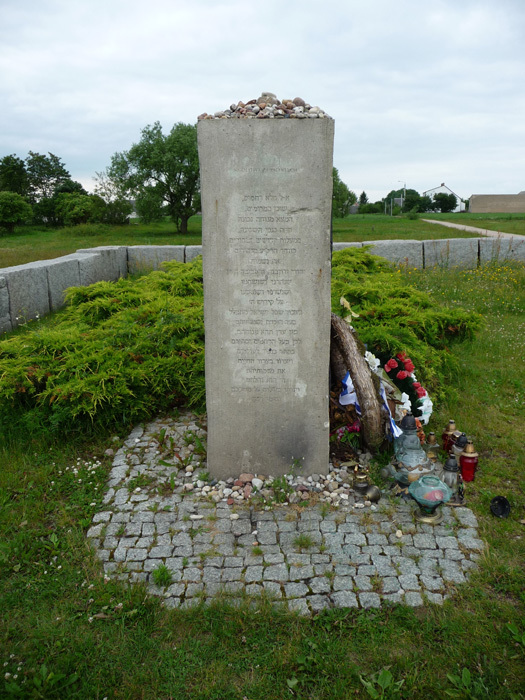 You can read more about the Jedwabne pogrom. 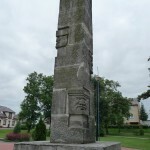 The URL of this post is http://idogenealogy.com/blog/2012/10/02/jedwabne/. All photos and content Copyright 2012 by Banai Lynn Feldstein. After the interesting time I had in Rutki, and backtracking some of my journey to find that memorial, I went back to Rutki and followed that sign to Wizna. I knew the road would take me through a few even smaller villages. 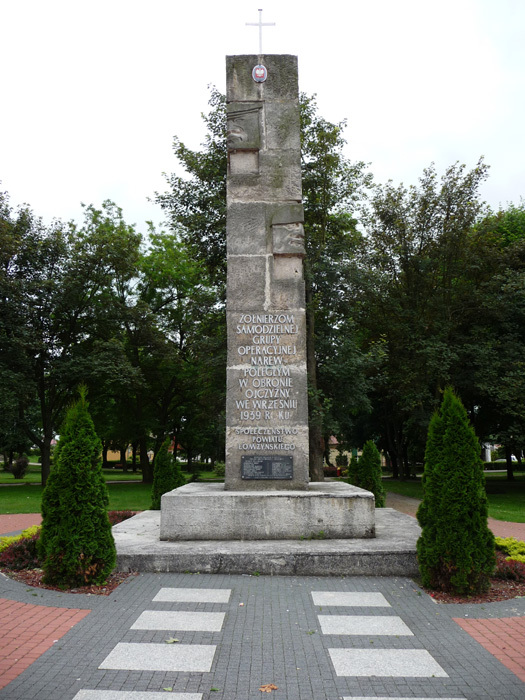 One of them was Grądy Woniecko, the birth place of the earliest Mularzewicz ancestor who’s birth record I have. I only stopped long enough to take a picture of the sign. 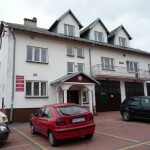 It seemed like the only thing in town was a prison, which Polish Wikipedia confirms opened in 1999. 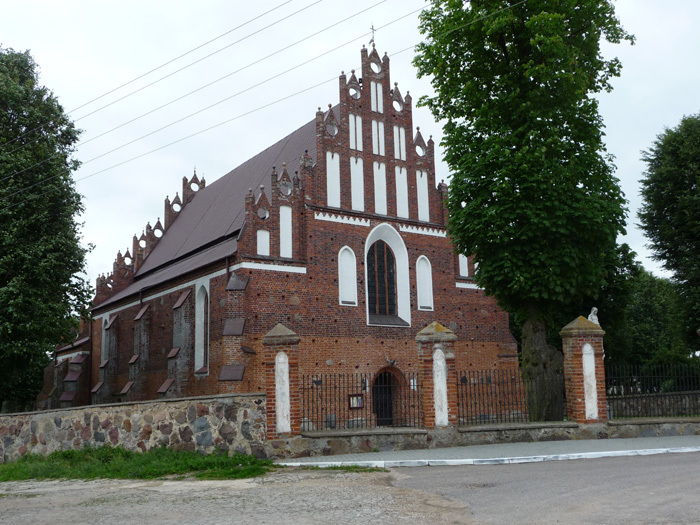 The earliest Mularzewicz record I have so far is for the a marriage for Moszko in 1838 in Wizna. However, Wizna is primarily known to me as where my Kurlender family comes from. 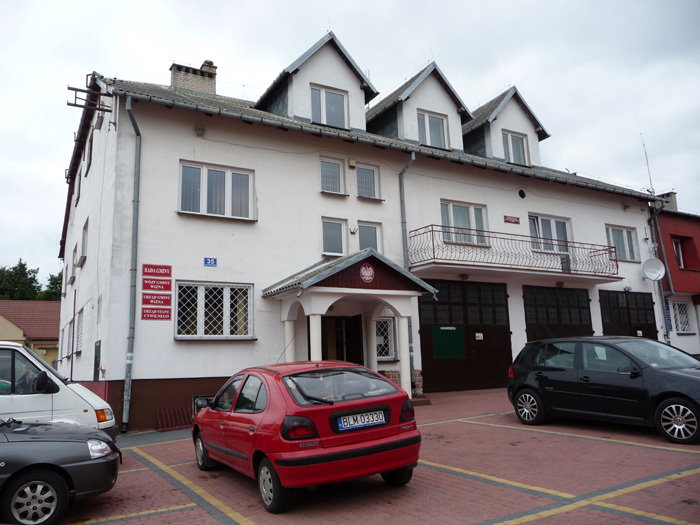 My great-grandmother Sorka was born there in 1865. When I first got her Polish birth record, I was not sure it was hers because I lacked more information about her. But I was just being hesitant. After retrieving all of the indexed Kurlender records, I was able to put them all together into one large family tree. 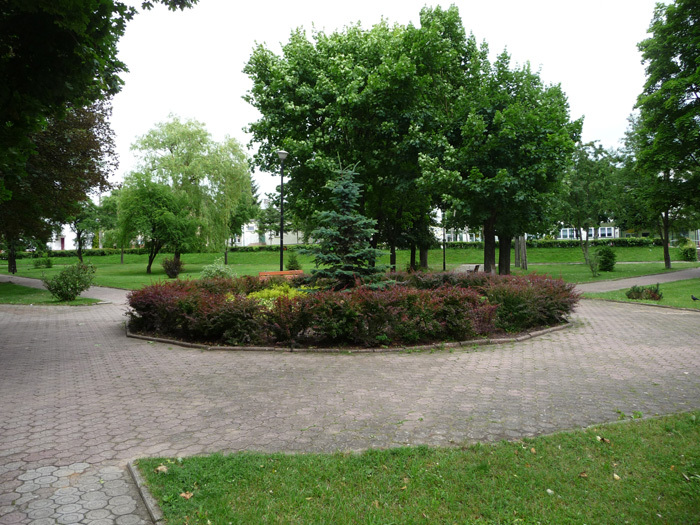 As I did with Rutki, I tried to find where the synagogue used to be, but while I found some pictures online, I could find no address or other details. So I just went to the center of town. There was a sign pointing for information, but when I followed it, I got to a one way street out of the center of town and could never find where it wanted me to go. 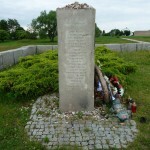 The URL of this post is http://idogenealogy.com/blog/2012/09/23/wizna/. Today was the reason I really needed a rental car. I visited my ancestral towns. 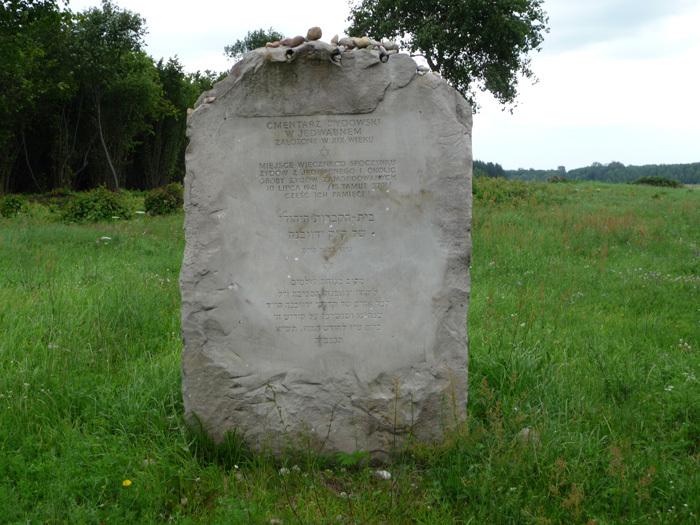 From Lomza, I headed south through Zambrow where I found what is left of the Jewish cemetery. 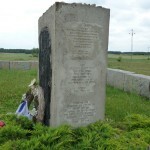 Some of my Rutki ancestors were likely buried there, from what I’ve read. I drove on to Rutki, where my Mularzewicz family is from. Going farther back in the family line, some were born at other nearby small towns too. 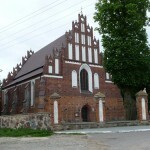 In Rutki, I looked for the building that used to be the synagogue. My difficulty was because the address was on one street but the building was set so far back that they’d changed the access to the other street. I spoke to a couple men for a few minutes. My cousin had been there a week earlier and they had the family names written down. 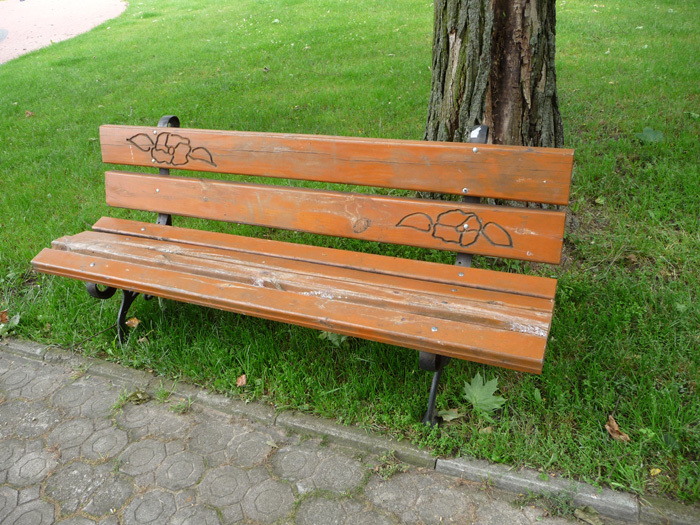 With my limited Polish, it wasn’t a long conversation. After messing with my cell phone for a minute, one man waved me back in and spoke some English after all. He told me where to find a memorial. I’d previously found GPS coordinates online that were far from correct. 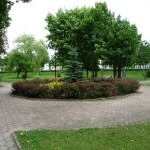 Whenever I think of the expression “off the beaten path”, I will now think of this location. 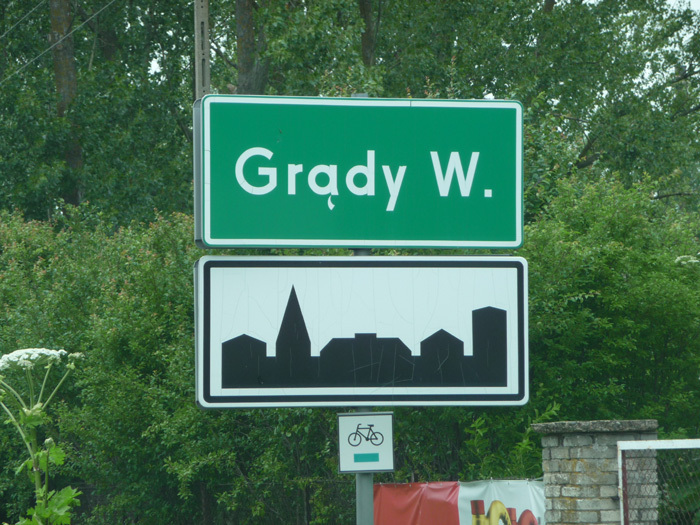 Onward to Wizna, driving the minor roads, I went through Grady Woniecko, the earliest known birthplace of a relative in that family. In Wizna, where my Kurlenders were from, I had other minor setbacks. 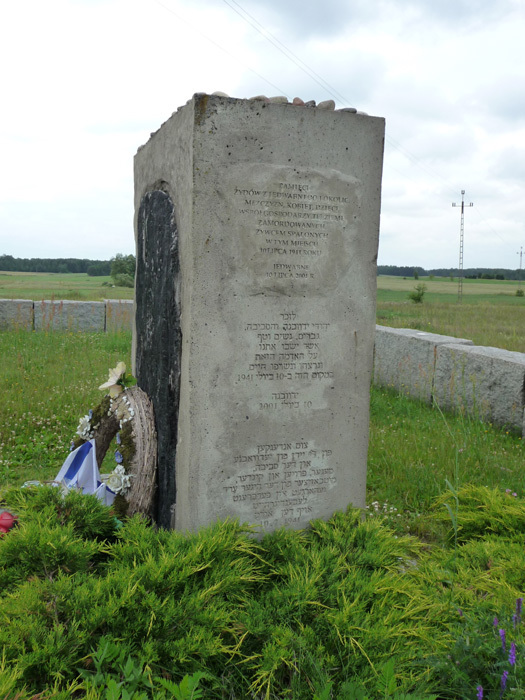 I was not able to find online the location of the former synagogue and the GPS coordinates I had for the cemetery were far off too. I didn’t feel up to asking the locals. At least in Rutki, I had some information to build on. 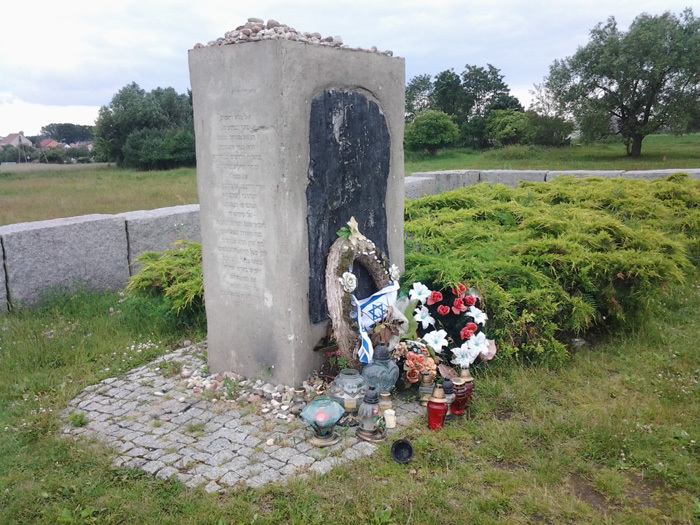 Another minor road took me farther north to Jedwabne, and another memorial at a Jewish massacre site, right across from the Jewish cemetery. 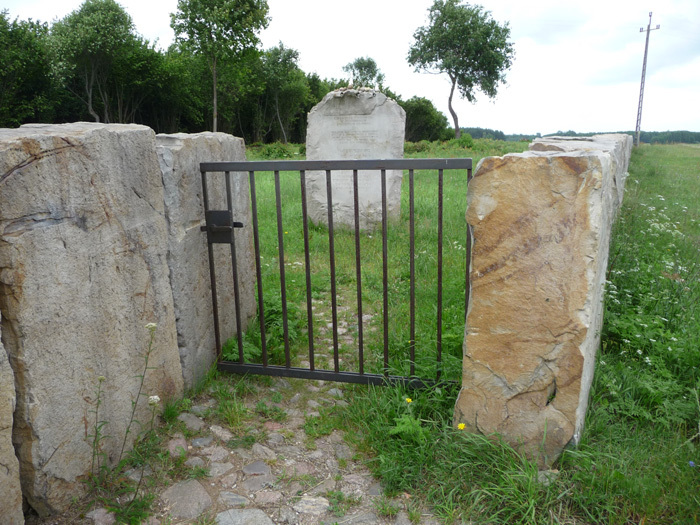 Back in Lomza, I visited the Jewish cemeteries, first the older and smaller one, then I found the secret back way into the newer one. But the weeds were tall and thick and I didn’t feel comfortable walking such a distance through them by the end of the day, so I took some general and far away pictures. Back at my hotel, I fell asleep quickly. I guess the lack of sleep finally caught up to me a bit. 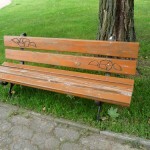 Now, if the WordPress app would cooperate more, these blog posts would be even easier. I’m sorry to write that if future posts give me as much trouble as this one, they may be without photos until I return home. I hope it doesn’t come to that.